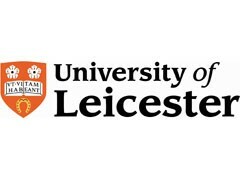 The University of Leicester is required under the government’s CRCEES (Carbon Reduction Commitment Energy Efficiency Scheme) to reduce its carbon emissions. The CRCEES is a mandatory scheme aimed at improving energy efficiency and cutting emissions in large public and private sector organizations. Due to its vast growth in recent years the university’s target of CO2 reduction is 60% by 2020. The University of Leicester asked CICS (now known as Lucideon) to verify its reports and evidence pack before submission to ensure they are correct and in line with the guidance notes. Lucideon has verified the University’s data annually for the past 3 years through phase 1 and continue to do so. A range of data was reviewed including Eligibility and Organisation Structure, Registration Documents, Footprint Report, Summary of EU ETS emissions, Annual Report and Internal Audit Certificate. As the UK’s leading verification body for Government carbon reporting schemes, such as EU ETS (EU Emissions Trading Scheme) and CCA (Climate Change Agreements), Lucideon was able to apply the same rigorous auditing principles to this verification to ensure a robust verification pack was submitted. Many clients use CRCEES data as data for sustainability reports, therefore, third party verification provides assurance of this scope and boundary of source data. Having their data independently verified means the university can be sure its data is accurate and that it has complied with the relevant guidelines. Ensuring compliance has financial gain, not only from avoiding financial penalties but also cutting emissions means less emissions allowances need to be bought and a saving in energy bills. "The University of Leicester has engaged us for several years now to carry out an independent check of their data before submission to the Environment Agency. The University has been able to demonstrate to us via its software systems, its own checks and various improvements relating to energy efficiency that a robust mechanism for managing and reporting data is in place, making the whole process transparent and effective."